David Drake and Katherine Morse in darling costumes. Everywhere they went people were smiling and waving at them. 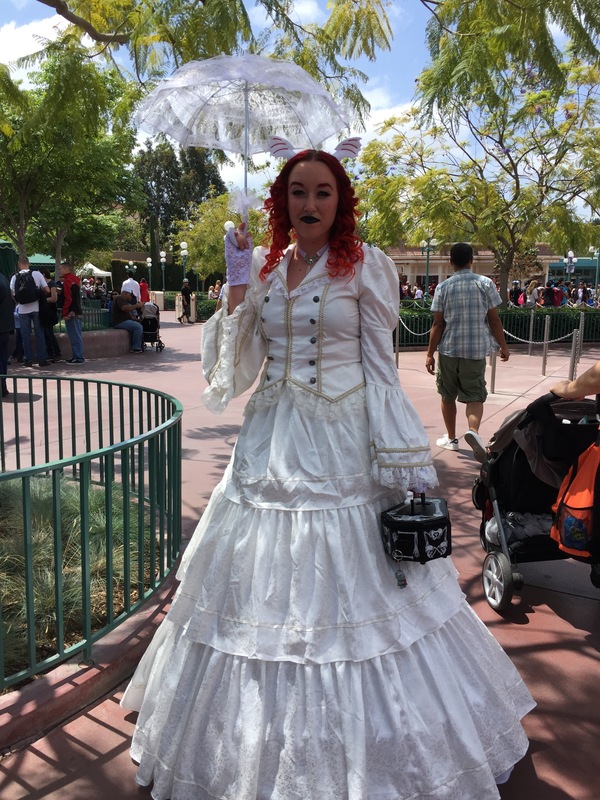 We were walking through Disneyland and began to notice ladies and gentlemen dressed in period clothing. They looked very nice. Suddenly, I glanced all around and it was like being on the movie set for Tomorrowland with lots of hats, heels, and poofy skirts, too. 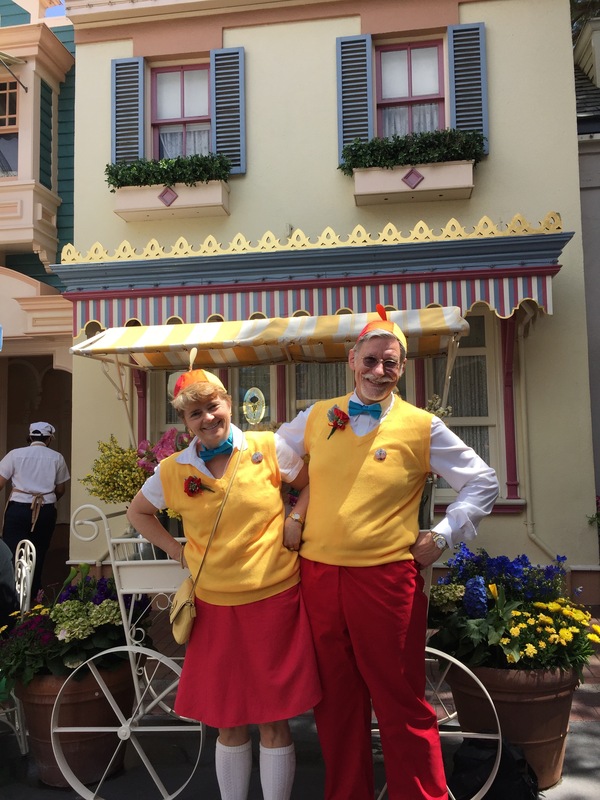 We had inadvertently visited during Dapper Days and it was like taking a time-warp back to the 1950s or 60s. Here’s some of the best photos! 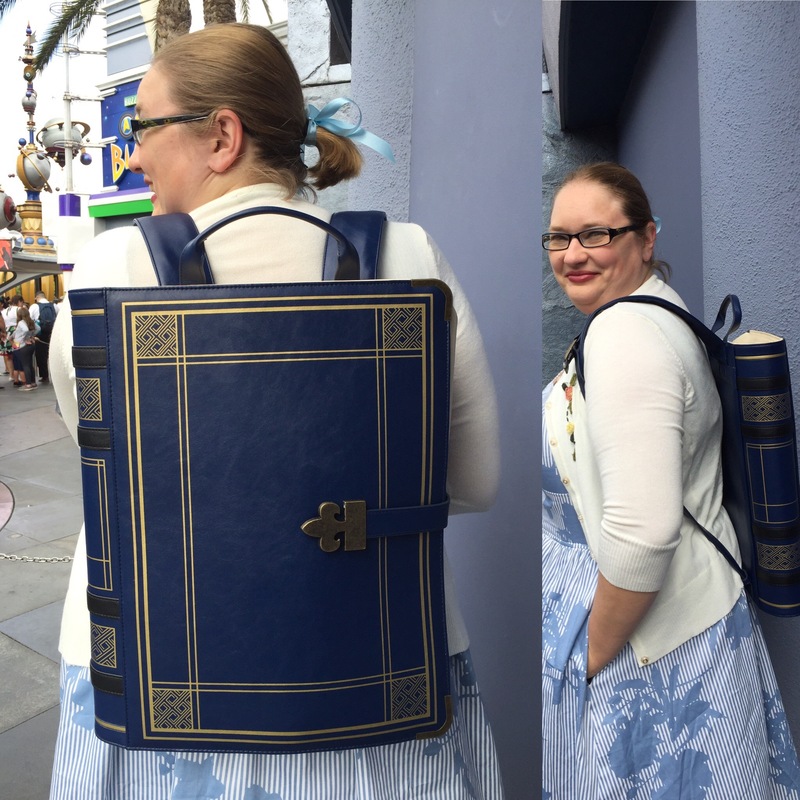 I loved her book backpack! Source: thinkgeek.com. 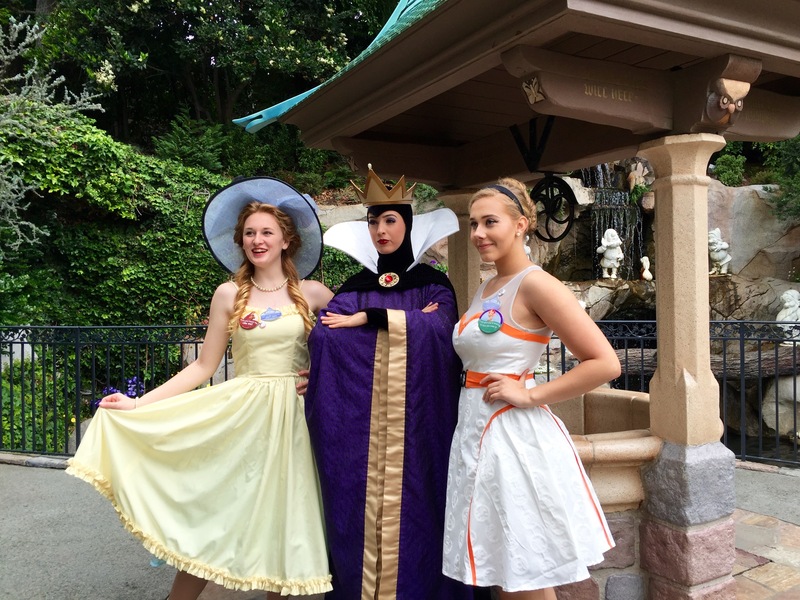 By now we really felt immersed in a story, a new one melding Disney and a snapshot of time. It was beautiful! Now, there was a dark side. A Goth bride with a casket purse! Some people dressed Goth and flaunted very dark, zombie-like costumes. But the special part, for me, was seeing whole families dressed in hats and striped suits, enjoying rides and laughing together. I love the power of a good story! Some very nice things have happened recently with my manuscript. Awards! I took second place in a regional ACFW (American Christian Fiction Writers) contest called the Keystone Great Beginnings Contest. Thank you to everyone involved in the contest and congrats to the other winners! 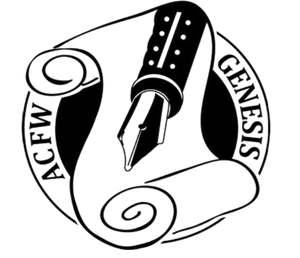 I just discovered I’m also a semi-finalist in a national competition called the ACFW Genesis Contest. My hands are shaking a bit as I’m typing! Thank you to everyone involved with this contest and I’m so happy for the other semi-finalists, too! I find out what happens in June so stay tuned! Congratulations, Elizabeth! Enjoy your success.